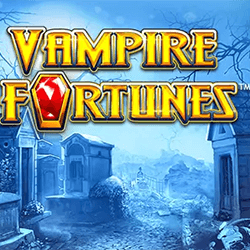 Vampire Fortunes is the latest slot from GreenTube that will mix treasures and vampires together in a single game. It boasts state-of-the-art graphics, along with a number of bonus features. The slot consists of 5×3 reels, and they’ve integrated the All Pay system, which offers players 243 ways to win. 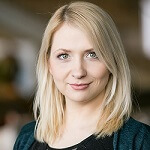 There are other ways to gain prizes, such as progressive jackpots, or the slot’s unique fixed payouts that can amount up to 5832x the original stake on the line. Scatters, wilds, free spins, and multipliers are all included. There are two types of wilds available in the game, with one coloured blue and can be present on reels 2 and 4, while the red version can appear on the 3rd real alone. The red also applies a 3x multiplier to any of the wins it substitutes for. The jackpot bonus feature can be triggered by landing one or more wilds in a single game. The free spins feature is activated when the Bonus icons appear on three or more reels, although they have to land consecutively. The player receives a total of 10 free spins in exchange where only certain high-value symbols are present. Lower symbols, such as the Royals, get removed from the reels during this feature, meaning that players will only have access to the symbols that pay out more. It looks to be an interesting slot that builds on common slot standards, and its progressive jackpots make it worth checking out.